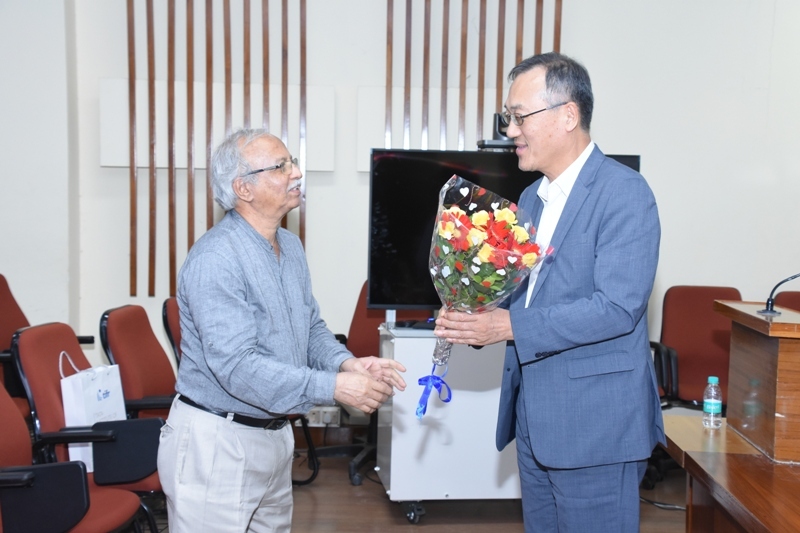 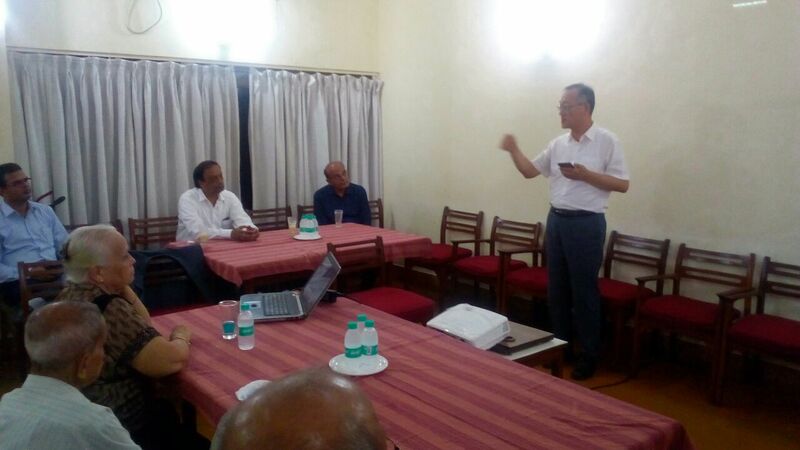 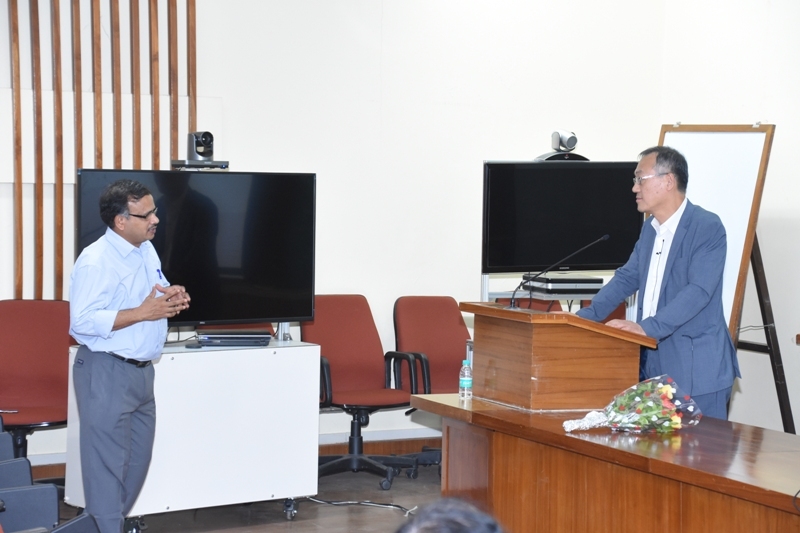 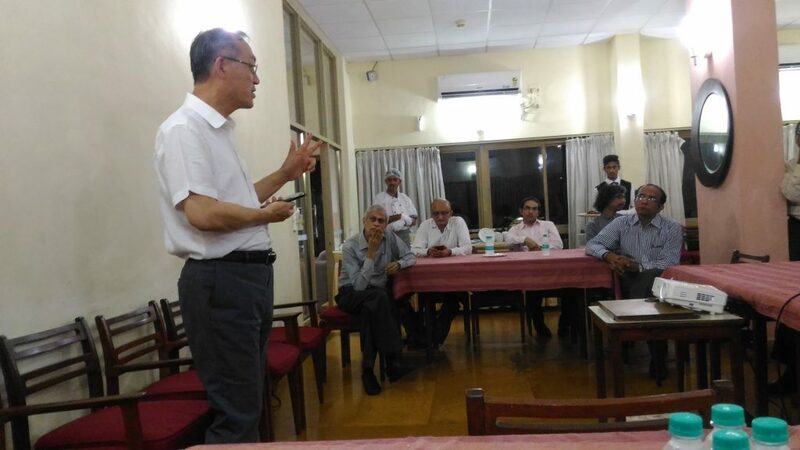 As part of the outreach to Sections in India, Dr Kukjin Chun, Director R10, visited IEEE Bombay Section along with Mr Harish Mysore, Director IEEE India Office on 21 July 2017. 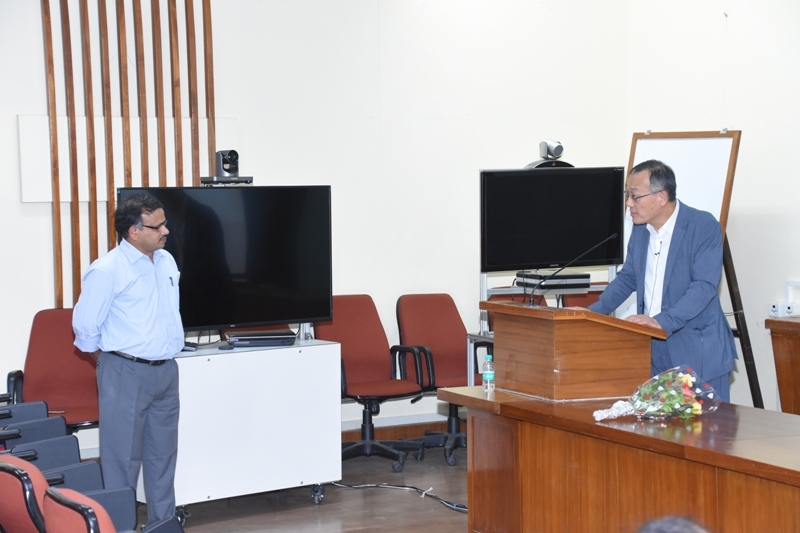 The highlight of the first half of the day was a visit to the offices of Larsen & Toubro Infotech (LTI) at Airoli, north of Mumbai. The LTI team comprised key members of the IIoT Group (Industrial Internet of Things and Manufacturing practice) : N R K Rao, Mandar Wagle, Prashant Iyer, Vishal Bhargava, Ms Natasha Saggu, and Mr Amol Agarwal, Executive Business development. 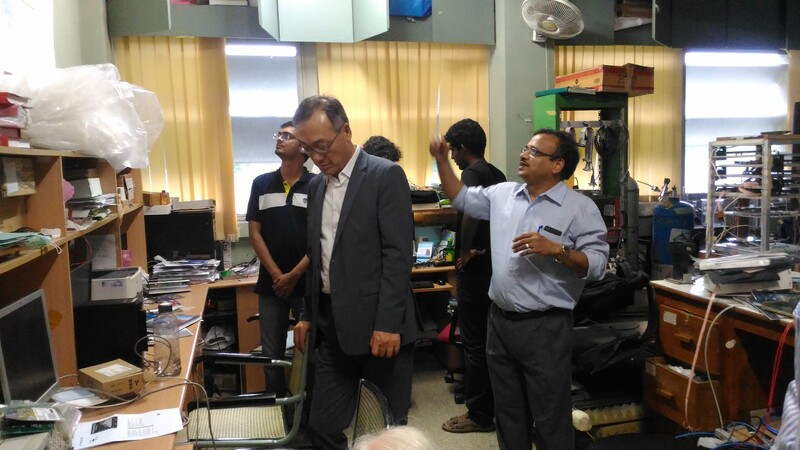 The team briefed the Visitors on their work in the IIoT domain in a free flowing discussion. 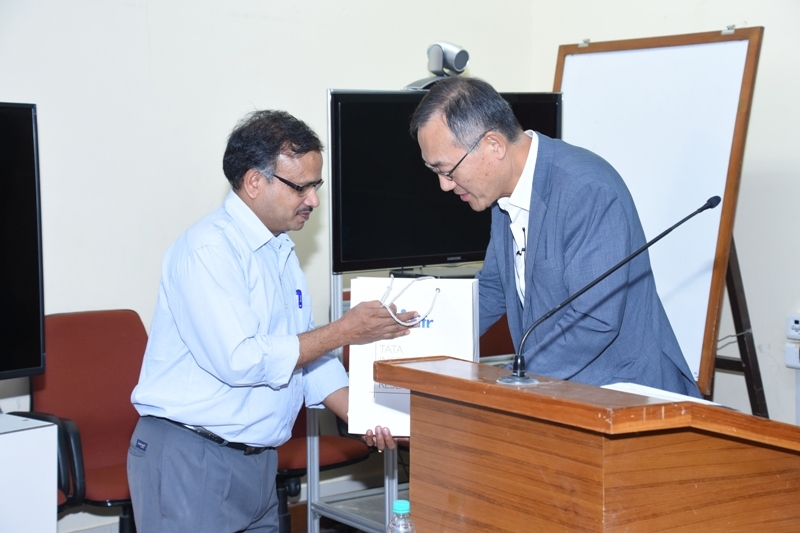 Dr Kukjin gave an overall presentation on IEEE, Region 10 and briefed the team on his research in the field of MEMS technology based sensors and actuators at Seoul National University. 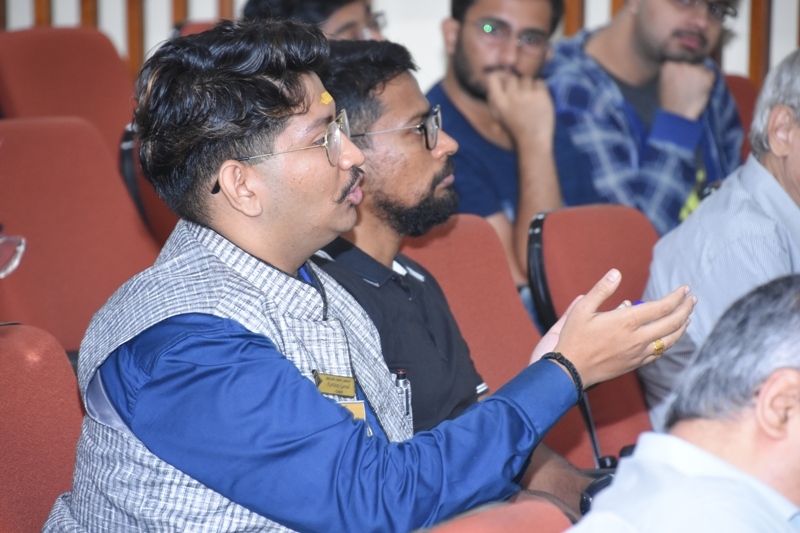 Section Officers, Anthony Lobo, Chair and Dr Sanjay Pawar, Chair IEEE Bombay Section Communications Society Chapter and Section Treasurer invited the team to enhance their connect with IEEE Bombay Section including interaction with IEEE student members. 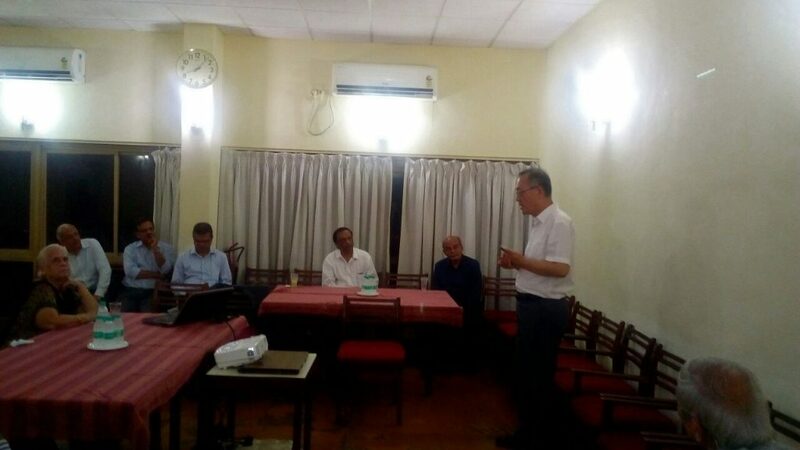 The IEEE team then moved to Tata Institute of Fundamental Research, Colaba, South Mumbai for the second event of the day. 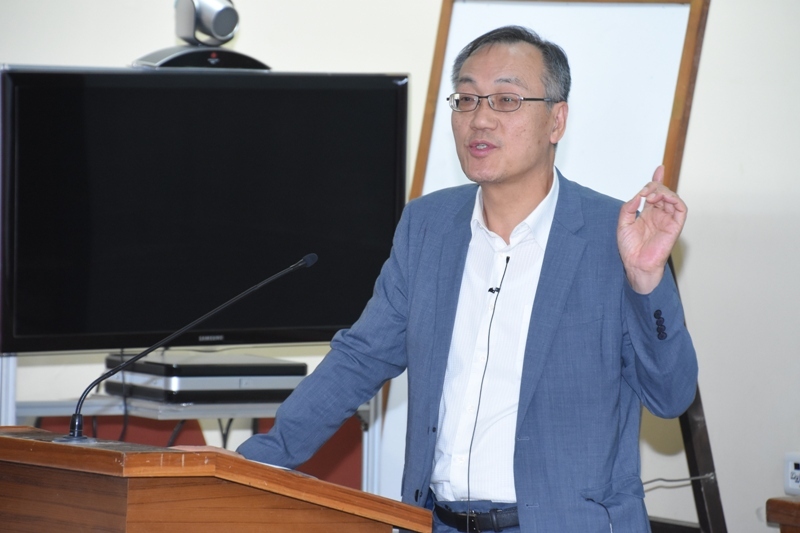 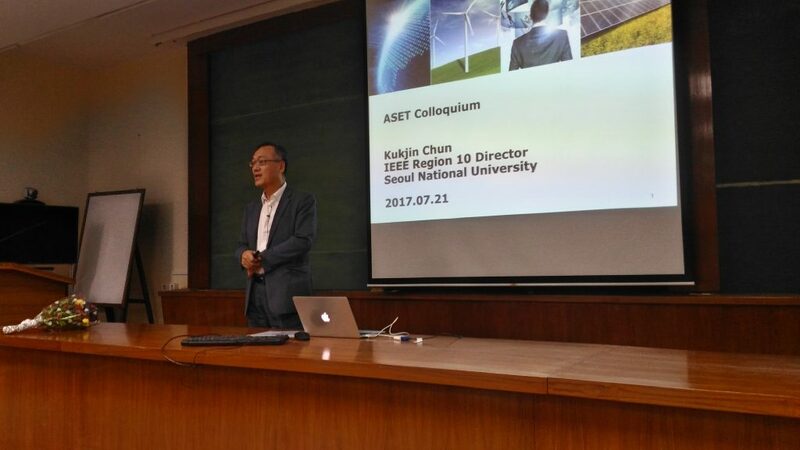 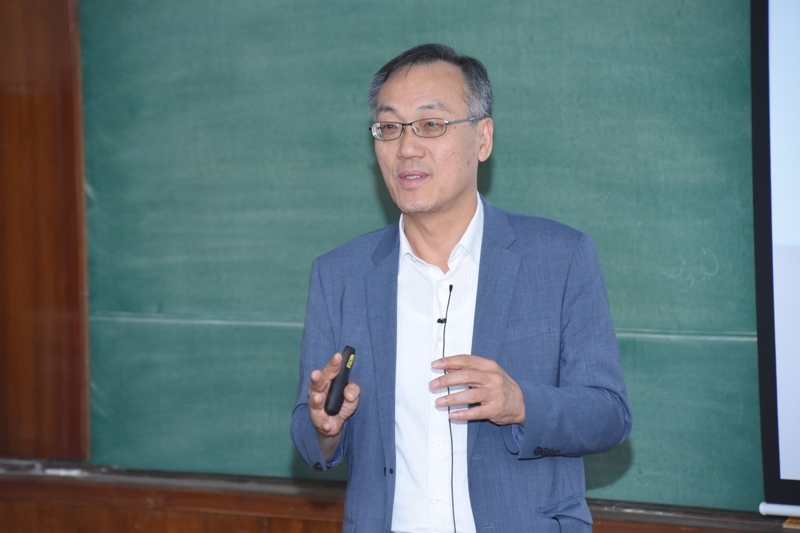 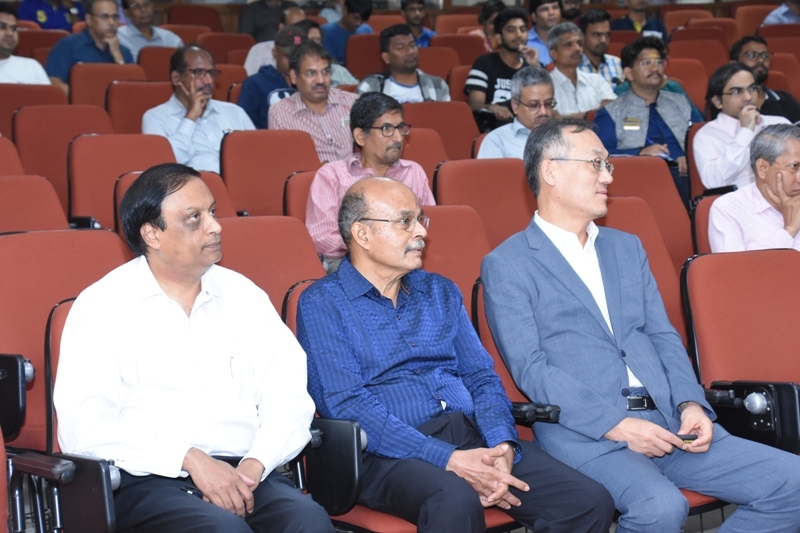 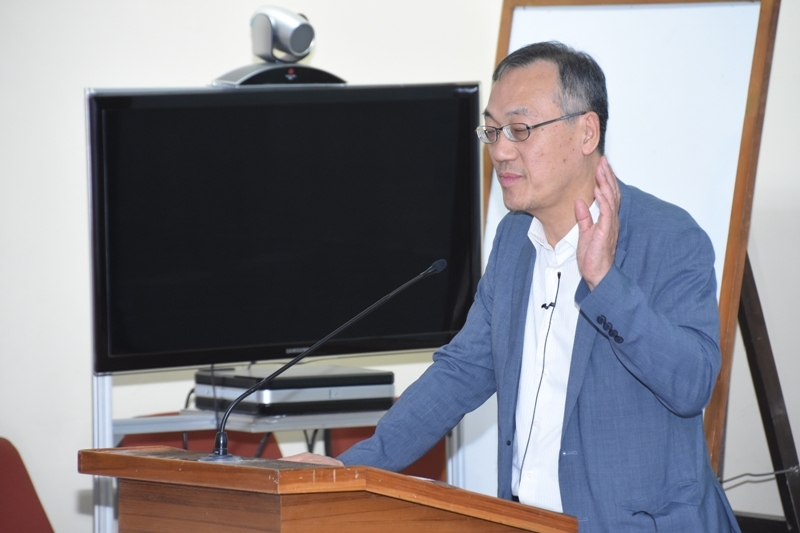 Dr Kukjin Chun was the featured speaker at the ASET [Advances in Science Engineering and Technology] Colloquim which was scheduled for 1600 hrs. 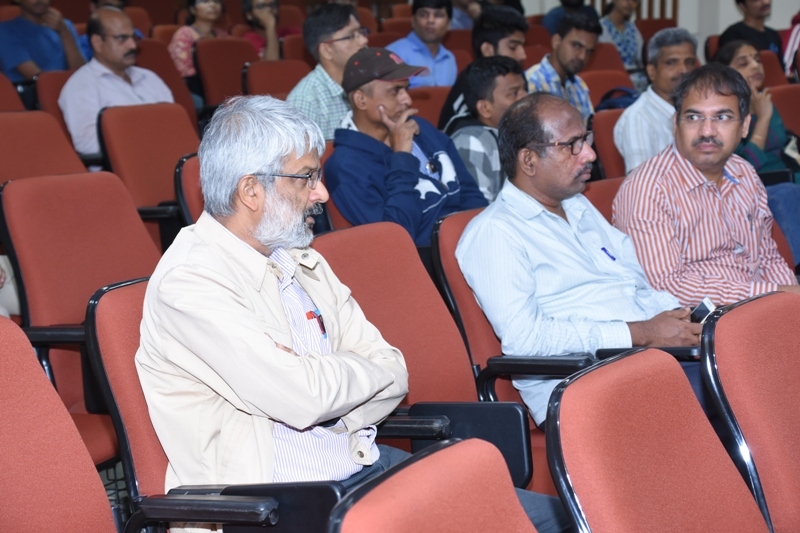 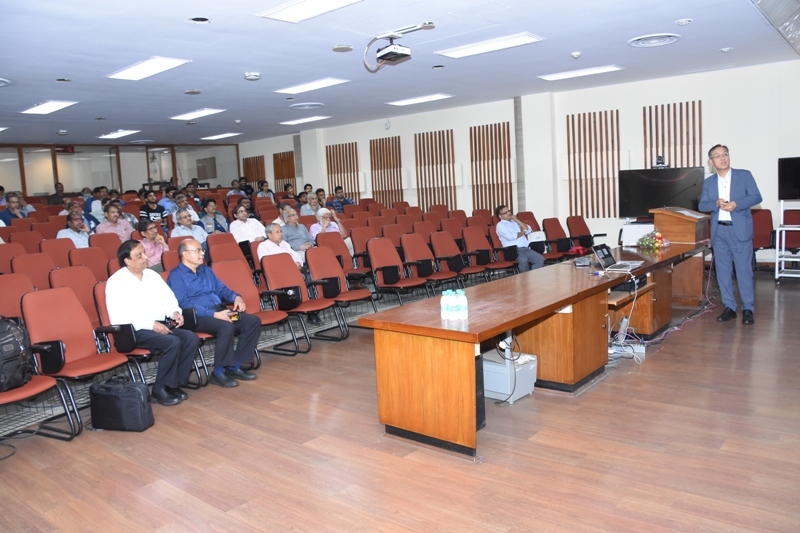 The audience comprised scientists and research scholars at TIFR and members of IEEE Bombay Section. 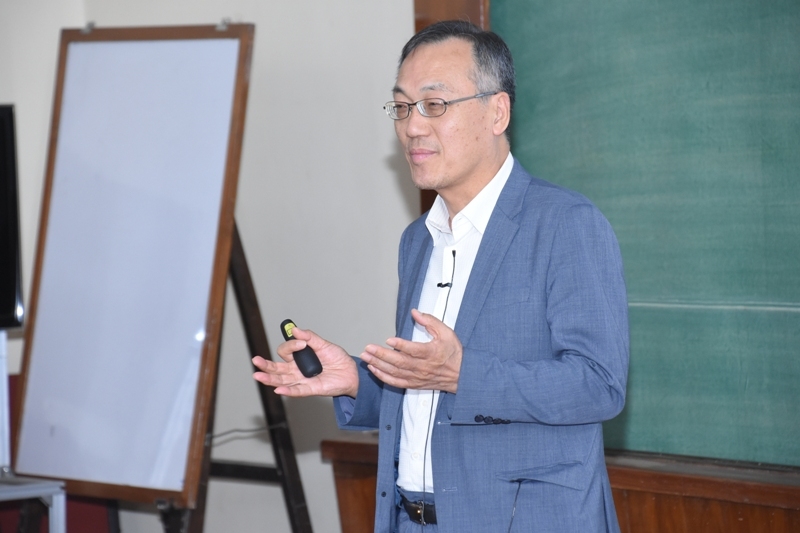 Dr Kukjin gave a very detailed presentation on his special subject which was followed by a Q&A session. 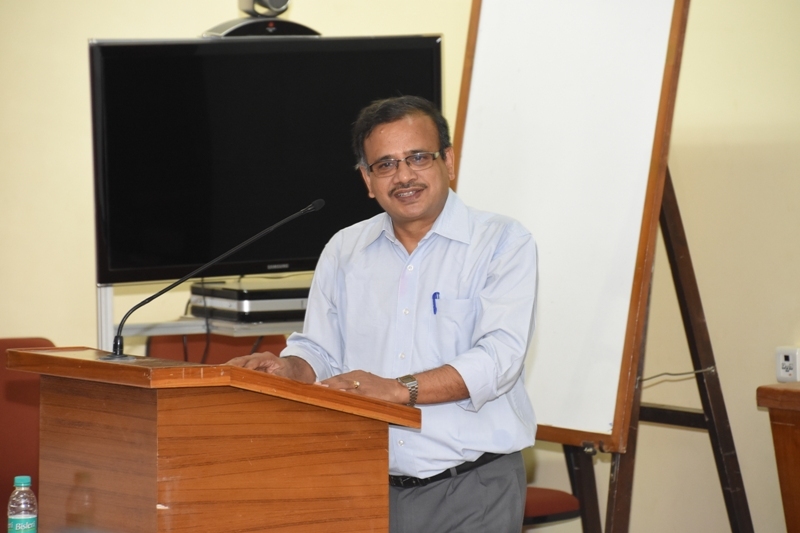 The third and special item of the day was a meeting with the Bombay Section Execom where Dr Satyanarayana, Scientific Officer (H) TIFR and Tech Activities Chair of the Section made a special presentation on the significance of BS@40 [Forty years of the establishment of Bombay Section in July 1976] and the accompanying technical lectures that had been organised through the year. 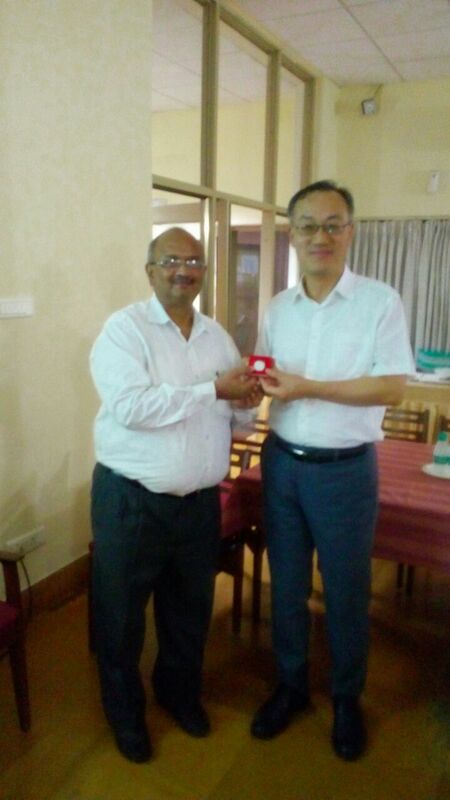 During dinner, the Execom presented a BS@40 silver commemorative coin to Dr Kukjin Chun and Mr Harish Mysore on the occasion of their visit to the Section.